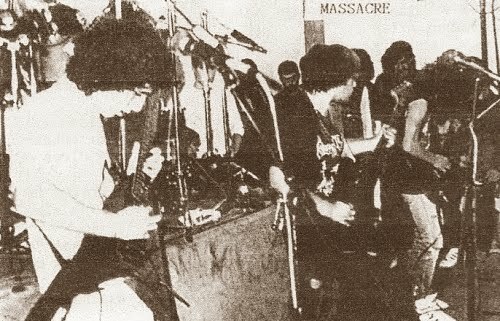 Massacre was formed in November 1987 in Queluz, Lisbon. Paulo Oliveira guitar, Paulo Morais guitar, José Costa bass/ vocals and Vasco drums. 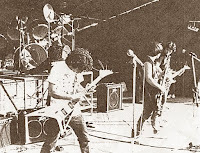 Their live debut took place at the Torres Novas bullfight, June 26h 1988, along with Explosão. Followed by a second one at cinema D. João V in Damaia, July 30th, with Valium and HSS. Vasco in November leaves the band and was replaced by Jorge Oliveira (Paulo Oliveira brother). 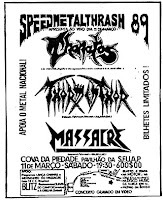 On March 1989 the band played with Thormenthor opening for the Dutch band Thanatos in Cova da Piedade, Almada, for 800 headbangers. One month later in April 23rd they made ​​their appearance at the Rock Festival in Amadora before 2000 people, also having played in that same month the 29th, in Almornos, Sintra (replacing Braindead) along with Mortífera and Procyon. 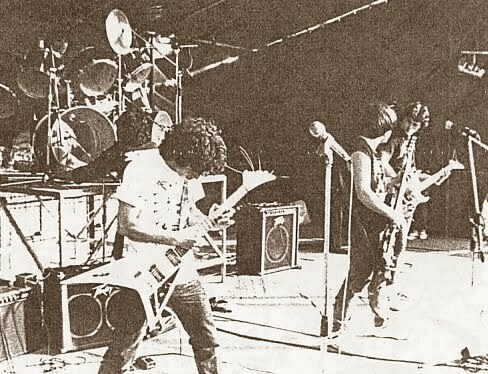 In July the band would return to the stage in Massamá. 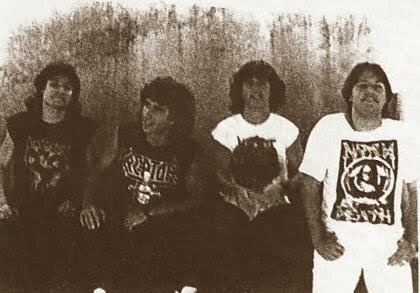 In August, Massacre entered the Edit Studios, in Amadora, where for 3 days they recorded the demo "Mortal Remains". During the recordings Paulo Morais quit the band. 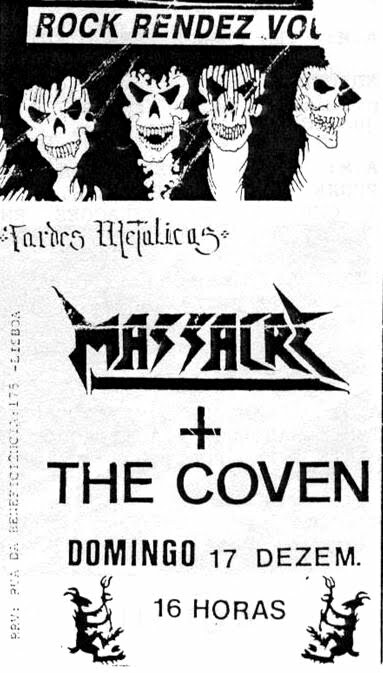 In just two weeks Massacre sold nearly 100 copies. The band recruited a new guitarrist, Paulo Almeida. 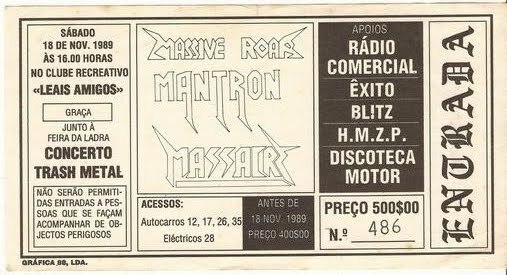 On November 18th 1989 the band played at the Clube Recreativo Leais Amigos, with Mantron and Massive Roar and end the year at the Rock Rendez Vous, December 17th, with The Coven. 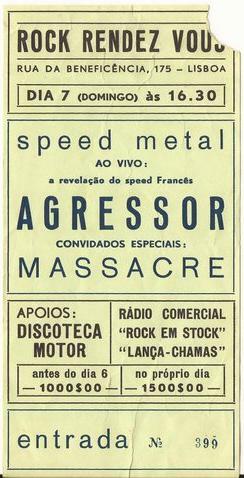 In 1990 they opened for French metallers Agressor at Rock Rendez Vous. Around March they changed their name to Enforce. 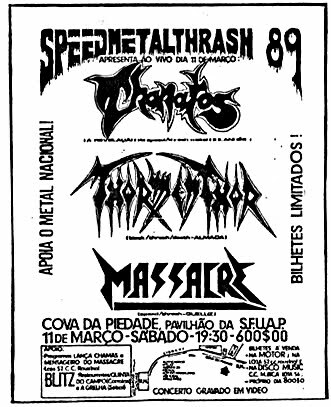 Das primeiras bandas de Thrash Metal nacional, grande som e muito bons concertos no RRV e outros locais, marcam a geração do metal nacional.